Posted November 20, 2018 by Reed & Associates & filed under Articles. At R&A, we firmly believe in the continued relevance and power of broadcast media. After all, it has been the cornerstone of our agency. Since inception, we were primarily focused on creating a broadcast media planning and buying model for Window World clients across the country. That’s still very much a part of what we do, although our capabilities and expertise have continued to expand, allowing us to be a complete partner in the marketing process. 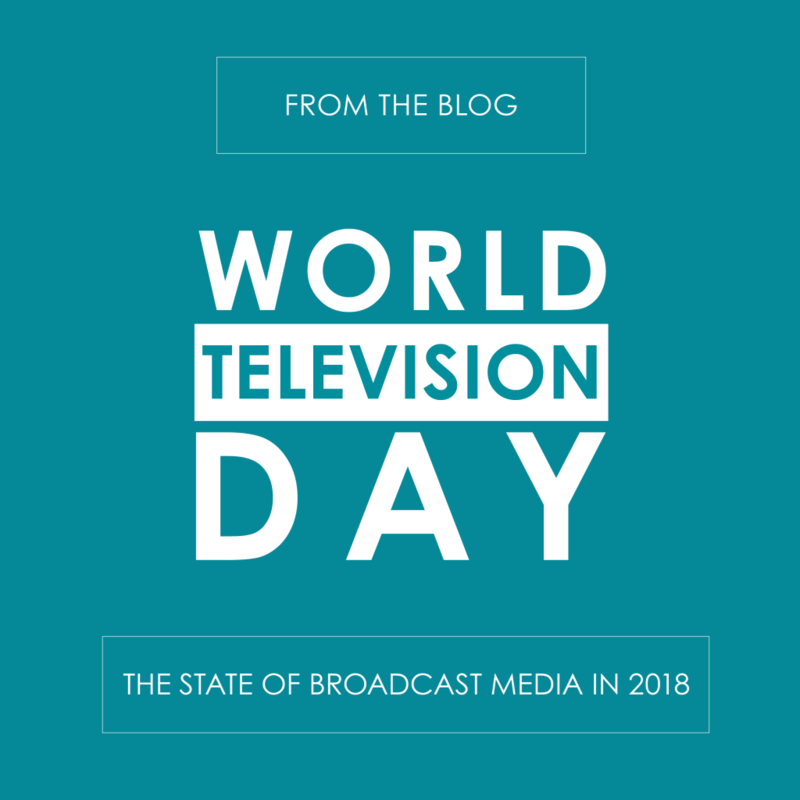 In observation of World Television Day, we’re taking a look back at where television has been in marketing, and where we think it’s headed. We’ve seen first-hand the results a well-placed marketing plan that includes a tailored mix of channels can have on increasing leads and generating more revenue for our clients. We’ll be the first to admit, broadcast television is one of the most expensive media buys and not every budget can afford it. However, when it’s in the cards for a company, it’s one of the most effective options for maintaining the proper balance of reach and frequency that’s needed to meet and exceed performance metrics. When we started working with one of our clients in 2009, the business did not have a significant television presence. We focused its marketing plan on broadcast television to build brand awareness and increase revenue. As a result, that same client now has one of the highest market shares of window companies in the area, and business is booming. Since 2008, the broadcast landscape has certainly changed with millions of Americans opting to watch television on recorded devices like DVR, or even abandon cable TV altogether in favor of digital streaming entertainment options like Netflix and Hulu. The important thing is that our consumption of media certainly hasn’t decreased, it just requires a minor shift in truly understanding audiences so we’re able to meet them where they’re already hanging out. Other things that are important to consider is the type of programming. For example, a client with a prospect demographic that heavily watches sports is better off placing cable TV buys, as the majority of people watch most sporting events live, as opposed to recorded or digitally. As these types of live events often yield very social gatherings and are even streamed in restaurants, bars, and businesses across the country, the opportunity to reach a substantially large number of people is just about guaranteed. To further diversify and increase the frequency, it’s valuable to compliment TV buying strategies with things like radio, social media, and even geo-targeted digital buys. Should You or Shouldn’t You Invest in Broadcast TV? So, should you invest in broadcast TV for your business? The first thing to determine is your target audience, your goals, and your budget – or your projected revenue, which allows us to back in to a recommended marketing spend. These three factors are a good starting point to determine whether broadcast TV is in the cards. If it is, the next thing we’d do is conduct market research and determine the best television stations to run on. We strategically purchase television programming that reaches our target demographic, taking into account a number of geographic and socioeconomic factors. Our goal is to get you the biggest bang for your buck. If it isn’t, we would look into alternative options, such as airing strictly on cable television or running on digital streaming services. When it comes to marketing, the landscape is often changing – sometimes it even feels like there’s something new or different popping up weekly. But that doesn’t mean you should immediately jump ship or become reactionary to the latest and greatest. A calculated media planning and buying process ensures you’re investing in a consistent marketing strategy that pays dividends and brings you a strong ROI overtime – whether it includes broadcast TV or not. Have questions or thoughts to add to the conversation? Drop a comment below! If you’re looking for a marketing partner to walk you through this process, we’d love to hear from you! Get in touch and ask about our Free Marketing Analysis.